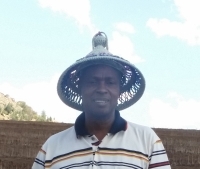 Peter Malemela has won Free Accommodation 1 time! "I feel great, and I will encourage my friends and colleagues to use Sleeping-Out whenever they travel." The GV as its patriots call it, offers well appointed en-suite rooms decorated in style & exclusively furnished with fine fabrics and beautiful paintings. It is truly for those who distinguish art and have an eye for creativity. There are doubles, singles and king suites, which boast of space, class and uniqueness. A bonus for you is the beautiful scenery of the untamed mountain slopes through your windows. All room are equipped with satellite TV’s direct dial lines, air conditioning, coffee making equipment and 24 hour room service. Global Village affords complete privacy and total exclusivity. Pool The story of one size fits all is incomplete without the mention of the Global Village Pool side outdoor venue. It is uniquely landscaped to provide two comfort zones. The poolside can host functions ranging from two to three hundred people with maximum comfort. Our party decors can transform this multi purpose venue for your amazement for birthdays, thanksgiving, weddings, graduation, live music shows etc for over a hundred participants, yet a few hours after the event, you will be amazed again that the entire venue is left for one romantic couple for a candlelight dinner. The poolside venue is wired with music speakers to generate that soft audible sound of peace and love that fills the air that usually un-tames the hard hearted making global the true number one choice for comfort. Conference Our Conference room distinguishes our Guest House from other similar outlets. 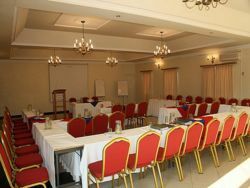 Facilities that are packaged in our conferencing deal may include the 120 seater air-conditioned Conference Hall, P.A. System, projector, Overhanging screen, wireless internet access, multi setting lighting system. These make Global Conference hall virtually the ideal place for business meetings, conferences, workshops, seminars, banquets, retreats, weddings, birthday parties, prayer fellowships.